After 2010 and 2011, the third edition of the international indoor tournament „Berlin Open“ was held this weekend in a snow-covered German capital. 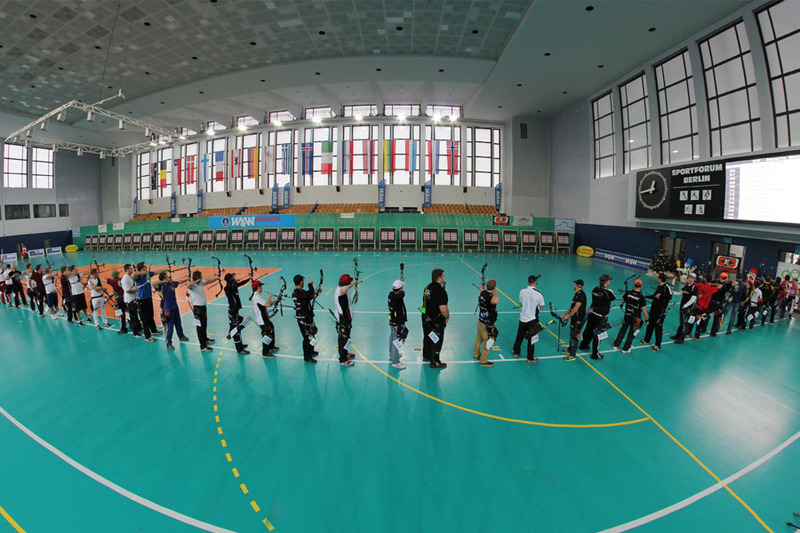 The tournament was fully booked and some very well known names in international archery were present, besides 4 Korean archers in the Women’s Recurve division, that were sent by the main sponsor Win&Win. Two new records were shot, a new european record in the Men’s Compound division by Mike Schloesser (598 points) and another world record for German cadet Carlo Schmitz, who topped his own world record with 594 points. He eventually won the Men’s Recurve division and clinched his second win at an international indoor tournament after winning the Face2Face tournament in Amsterdam just one month ago.